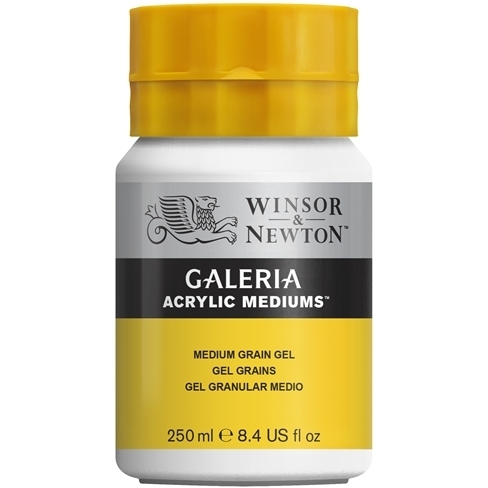 When mixed with acrylic colour, Medium Grain Gel forms a moderately granular texture. It may be used alone as a clear, textured film, or with added colour. It may also be over-painted. Medium Grain Gel has been formulated to ensure that the texture is evenly distributed.